An Independent Indian Bungalow on 30×50 East Facing Plot with High Quality Construction Complete Teak Wood, Granite Flooring. 4500 Sq.ft Super Builtup Area in HSR Layout 2nd Sector. 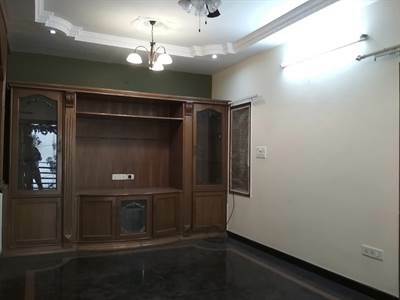 On Ground Floor there is Car Parking Space with a 2BHK House which can be rented out, on 1st Floor, 2nd Floor (Half) & 3rd Floor there is a Triplex House having 4 Bedrooms, 4 Bathrooms, Living Dining, Pooja, 2 Bathrooms having Bath Tubs, the 4th Bedroom can be made as a Home Theater too, Complete Interiors Done with, AC, Geysers, Fancy Electrical Lights and Fittings. there is an External Staircase too with a 1BHK External Unit on 2nd Floor which can be rented out. The Expected price is Rs.230 Lakhs Negotiable. Please go through the Video Tour and Photo Album to visit the house Virtually.